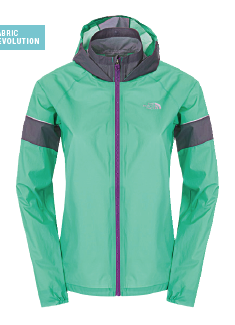 The North Face like many other key brands have some new products launching in 2015 and by all accounts they will be in store from March 2015. 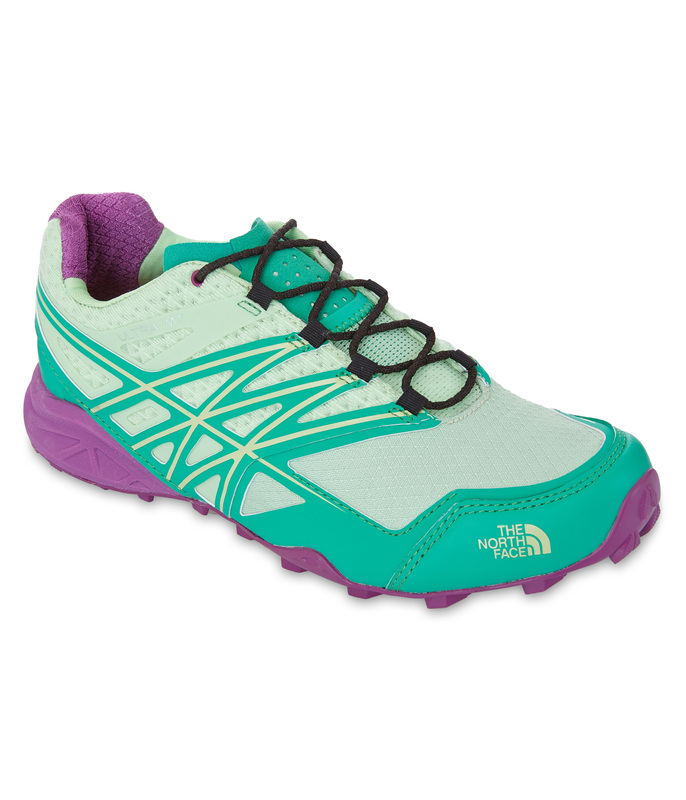 If it is an improvement on the Ultra Guide then this is a shoe I am going to be very keen to try. As you will know from my Ultra Guide review, I thought the shoe was a real winner offering a great combination of comfort, grip and an 8mm drop. 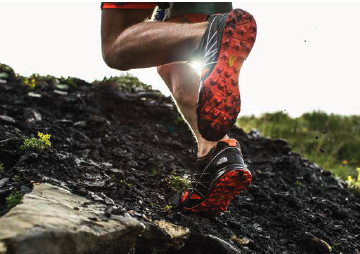 The ULTRA MT will have a new Vibram® Megagrip outsole with unrivalled traction to keep you close to the ground. 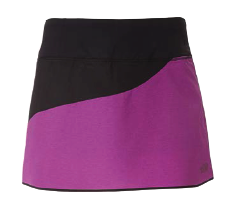 It will also have the benefit of enhanced upper support as well as breathable Ultra Airmesh over the quarter. The innovation continues underfoot, where precise stability and protection ensures a better performance with every step. Drop will be 8mm and weight estimated at 295g for sample size (usually UK8.) A body mapping layer system on the upper enhances support on the medial side, protecting the toe area. Vibram Megagrip sole. More daylight during summer means running longer, which is why you should be prepared if the weather changes. 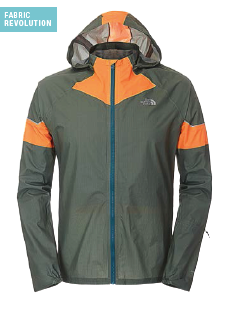 This new male/ female Storm Stow Ultralight Jacket is fully waterproof and windproof, but also packs incredibly small, so you can keep it on hand for any emergency. When the trail takes you further, there is no better protection to carry with you. 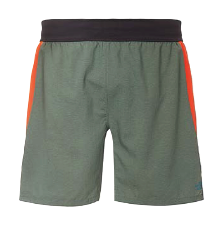 The new Better Than Naked Long Haul Short will allow you to stay comfortable on longer runs with a wider comfort-fit waistband, stitch-free design on critical seams, and maximum storage capacity for big days. Once you’re on the trail, it’s easy to get carried away. 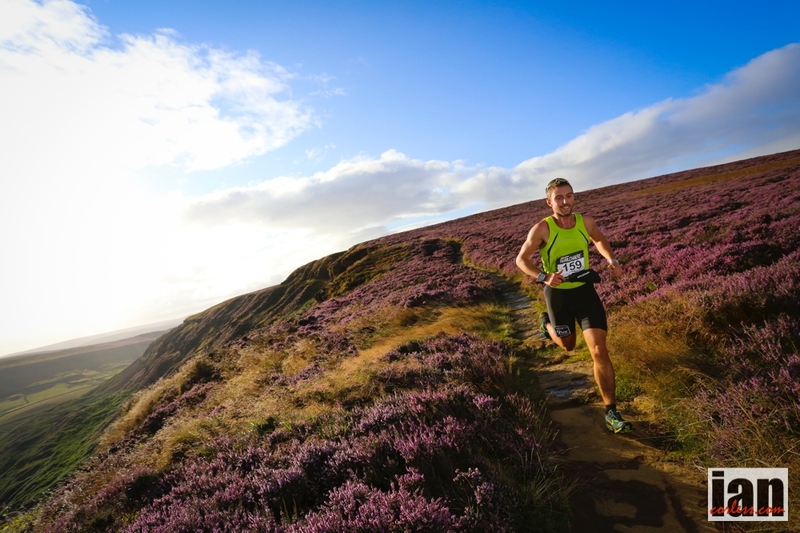 In the heart of nature, and surrounded by inspiration, every trail runner is fuelled to go further. That’s why comfort and performance needs to last. 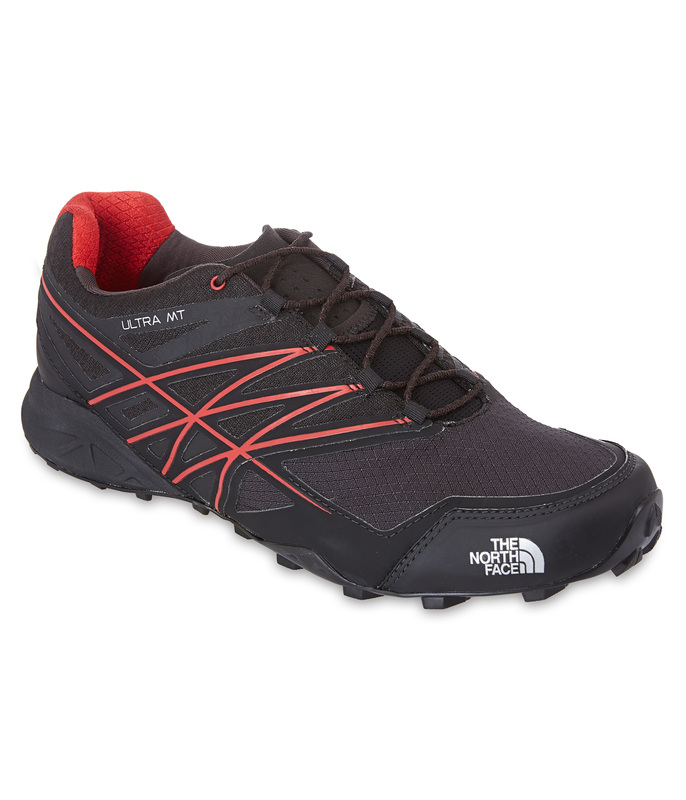 To that end, The North Face have designed this new apparel and shoes for 2015. I anticipate to receive test samples within the coming month and we will provide a full review as soon as possible. 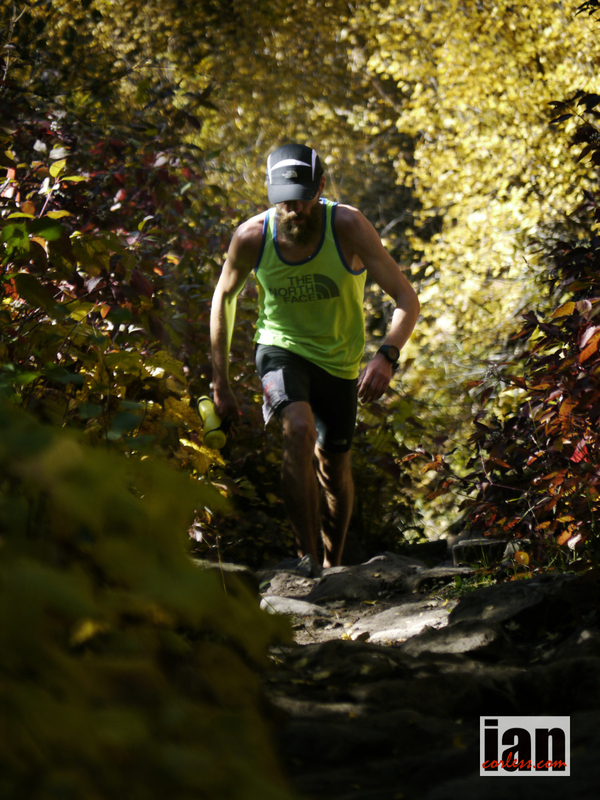 Rob Krar broke onto the ultra running scene in 2013 and set the trails alight with impressive fast running. 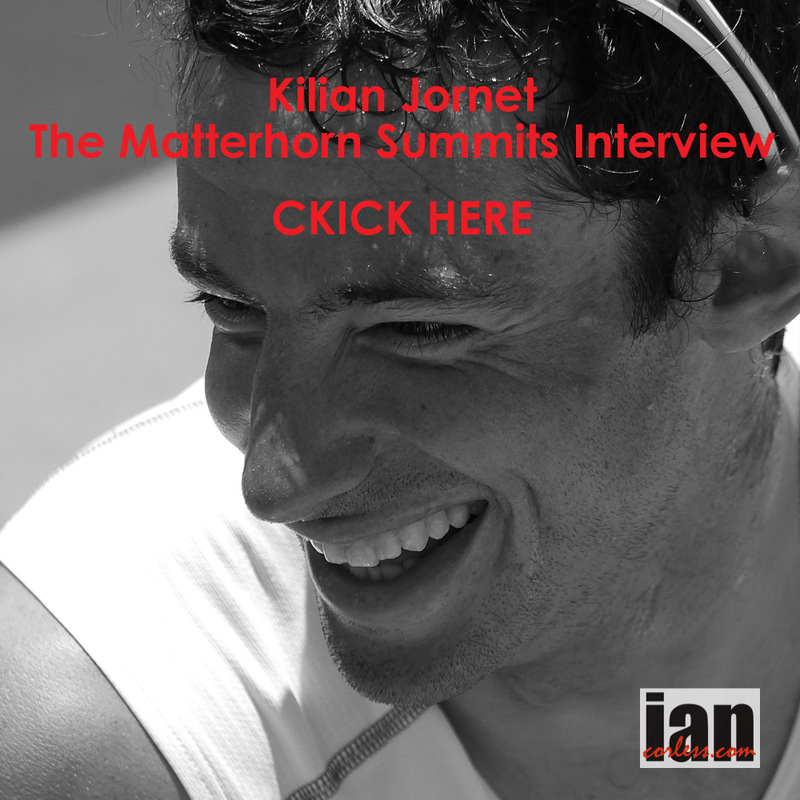 He popped on many a runner’s radar with his incredible FKT in the Grand Canyon and then with no 100-mile experience placed 2nd behind Timmy Olson at Western States. 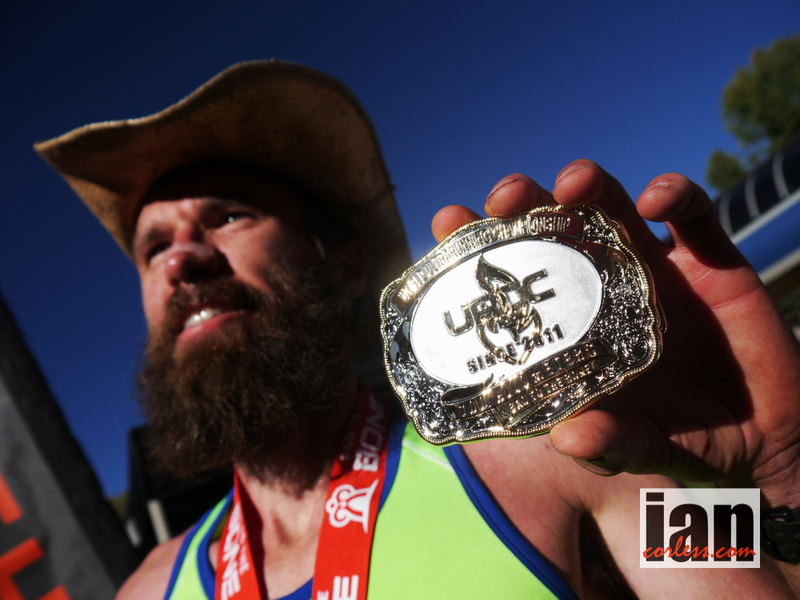 Later in the year Rob came from behind at UROC and beat Dakota Jones to the line for an impressive win. 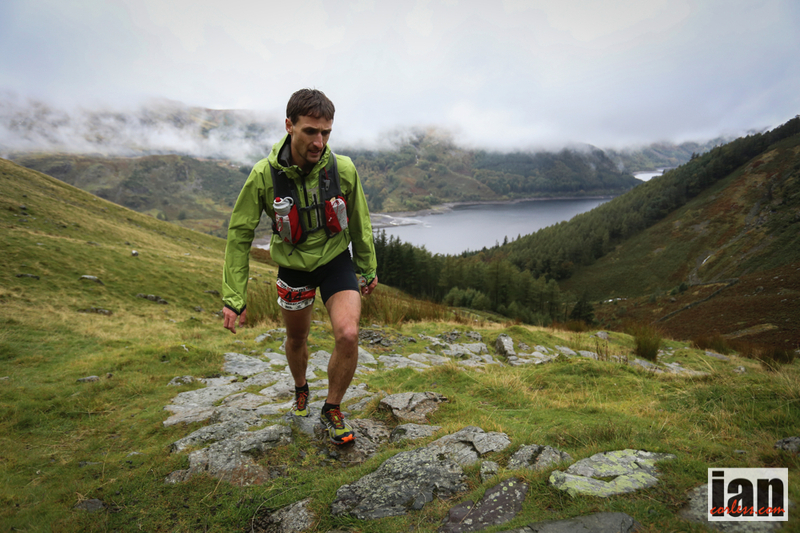 Crowned Ultra Runner of the Year, Rob was and is quite rightly the ‘one-to-watch’ at any race. 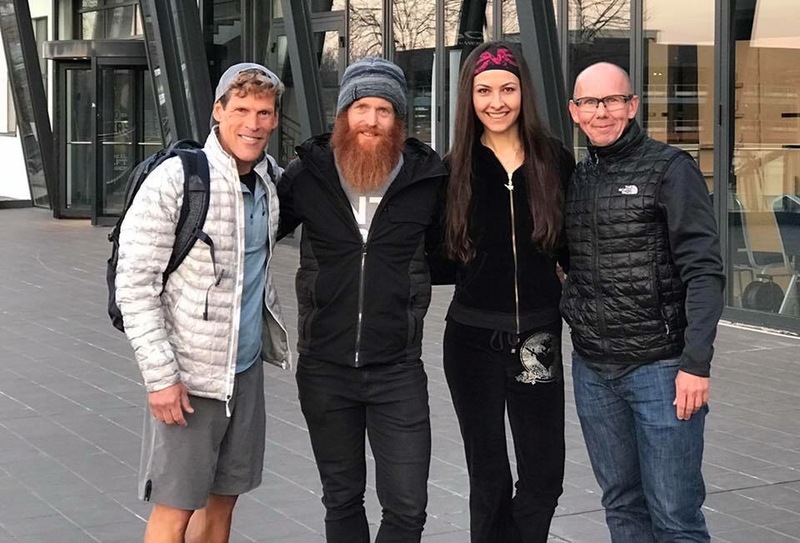 In 2014, Rob prepared meticulously for Western States and although nothing is predictable in ultra running, for many, he was the obvious ‘hot-favourite.’ Rob didn’t disappoint with a consummate run and the 2nd fastest time in history. I caught up with Rob, in-between night shifts and training. IC: Rob how are you doing? IC: How’s the rollercoaster been post WSER? RK: It’s not been too bad, my schedule with work made it difficult. I had to be back at work at 2100 on Monday. So with a 12-hour drive post WSER made that difficult. It’s been a challenge physically and mentally. IC: Amazing when you say that, it does put your achievement in perspective. You’re running at the highest level, working long hours and keeping a family together. RK: Yes it’s tiring. It’s getting increasingly difficult… it’s a long story. I’m Canadian so my Visa required me to have a job working in Flagstaff on the night shift. When I got married I got a green card, so, now I don’t need to be a pharmacist but opportunities never arose. Now this running craziness has started I now have a realistic chance of leaving my job. Work is difficult. 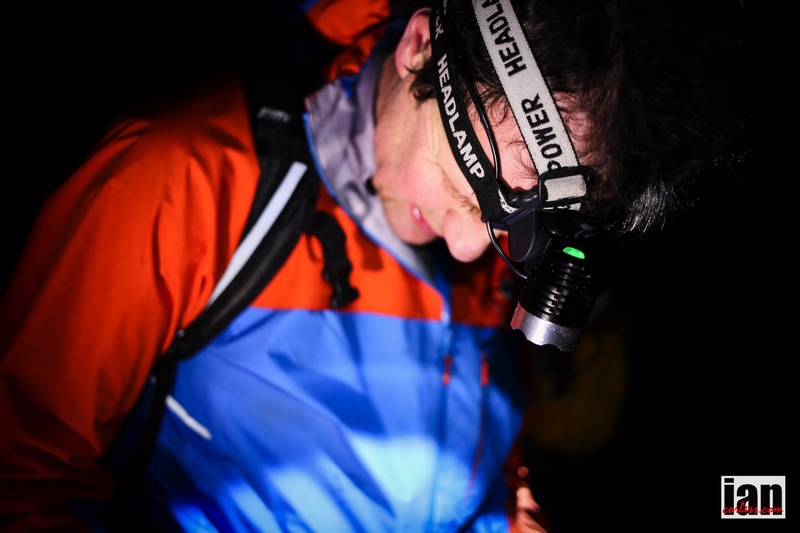 It’s s such a contrast, I run a 100-miles and then 48-hours later I am under fluo lights working the night shift. It’s getting harder so I hope to maybe make a change and change my focus. IC: Does work have an appreciation of what you achieve? RK: Because I do nights, I don’t real cross paths with my colleagues. They have an understanding and they are supportive but I don’t have long chats. RK: For sure, it’s in my nature. Sitting beside Tim doing an interview with the board of directors post WSER, I didn’t think ‘I want to win!’ I think it was more of a decision days later. You can’t dedicate a year to a race but it did give me focus. 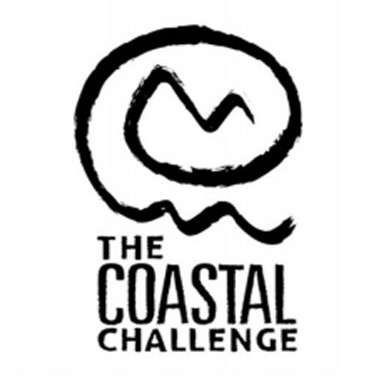 I had no doubts after WSER that it would be my goal for ’14.’ I decided to put everything into it. IC: It’s impressive; you pick your races. You don’t race a great deal but when you do race you make an impact. 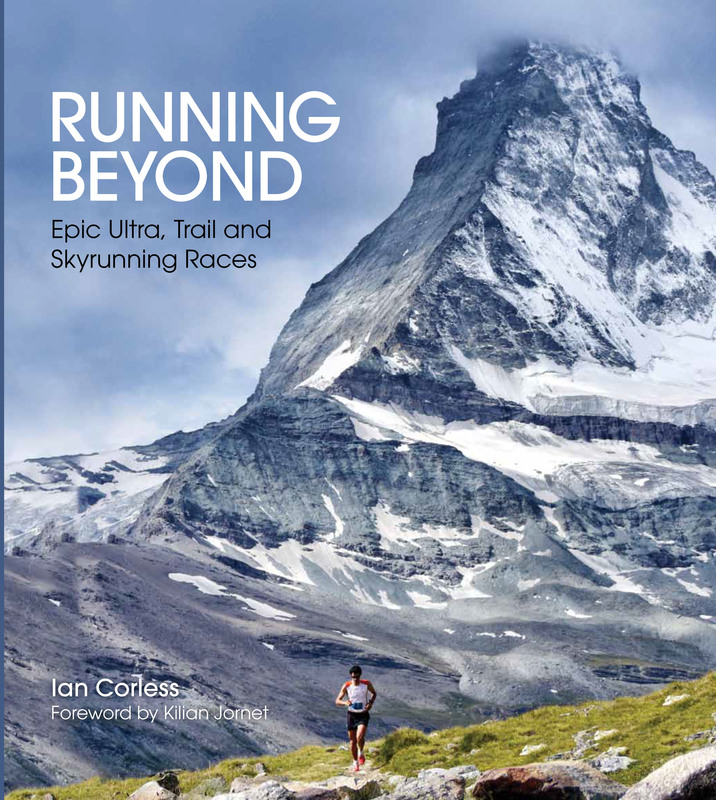 2013 was incredible, many would wish for an element of that… FKT, WSER, UROC, Ultra Runner of the Year… did you pinch yourself and ask, is this real? RK: Funny when I hear it. It is incredible. I am so blessed. I missed an element that allowed me to break through as a runner. I wouldn’t say I was surmised but it’s certainly more than I could have ever expected. I have embraced it in 2014. In 2013 I was learning and it was all happening so quickly. This year I had the thought that I belong here. I am happy in the ultra community. I entered 14 with a new outlook especially in training and racing. 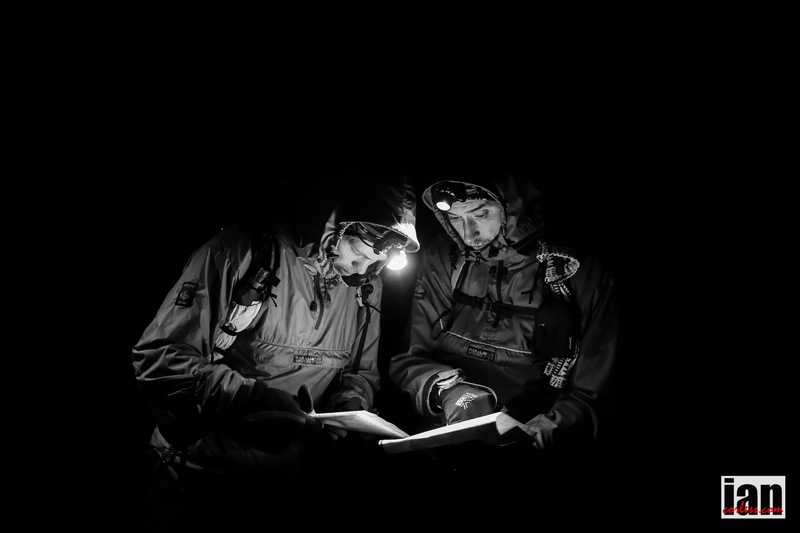 IC: The North Face sponsored you and you had great results, did you feel pressured with a new year ahead. RK: No, not really! I have a responsibility and that does bring certain additional aspects but I want to perform. I wan to perform for my sponsors and myself. I put pressure in the back of my mind. I must control those pressures and let my running do the talking. I set a goal and I do my best. It’s a simple equation. 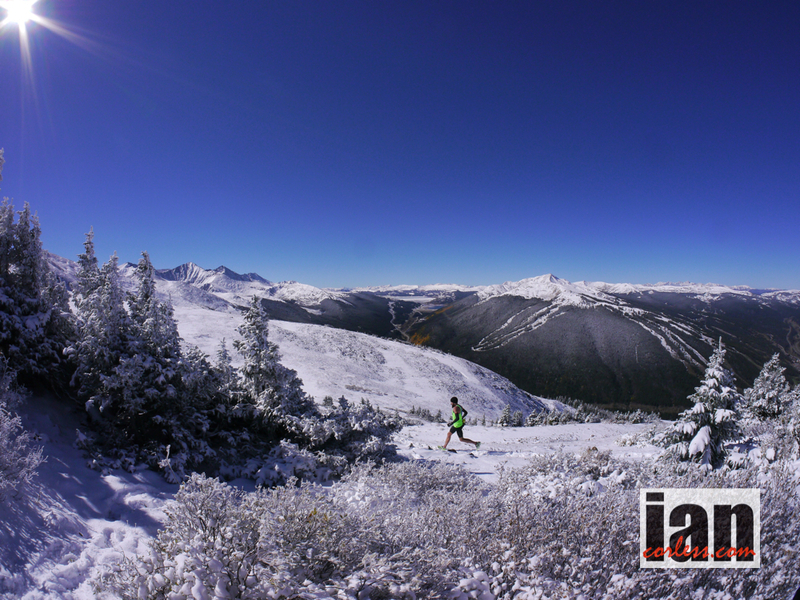 IC: Starting 2014 and kicking off the season did you feel in good shape? RK: After TNF50 in December, I had a partial tear to my achilles and calf. It was the first significant injury I had. It took time to recover but I have been in the mountains doing Skimo and Skinning. It’s my winter plan so it was good. Mentally it can be tough, especially with an injury but I just had to get through December and then refocus. I had a great Ski season. 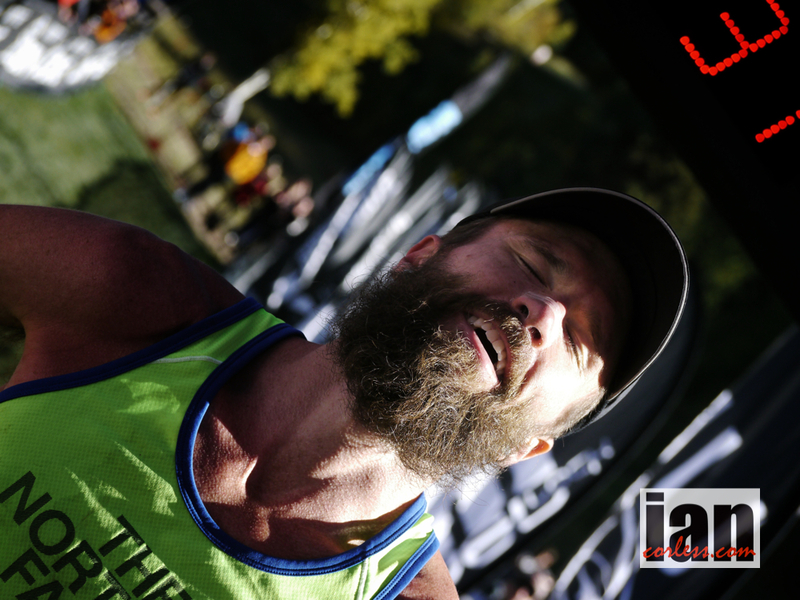 I came out super fit and I was going to run Tarawera, however, it wasn’t meant to be… I clipped my toe on a run, damaged my ribs in a fall and I couldn’t run for 10-days. IC: How frustrating was that? RK: Tough. A trip to New Zealand missed but I had the larger goal of WSER and I had time. I put it behind me and moved on. I trained up to Lake Sonoma; I wasn’t in the best shape as sore ribs really do impact on training. The Sonoma course was tougher than expected, I did the best I could and that was it. I soon was back in shape and things started to click for WSER. I got the miles in, did the speed, ate healthy and to be honest my training blog into Western was magical. 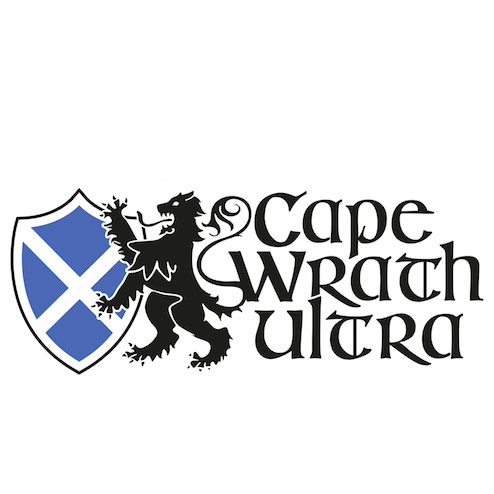 IC: I’m interested in your specific prep for WSER. Last year you hadn’t adjusted training, as you had never run a 100 before. You were doing 50-mile training. So, working on your 2013 run did you stick with your ‘13’ plan or did you make big changes? RK: A world of difference! Last year I didn’t do a single workout before WSER. I would ‘just’ run. 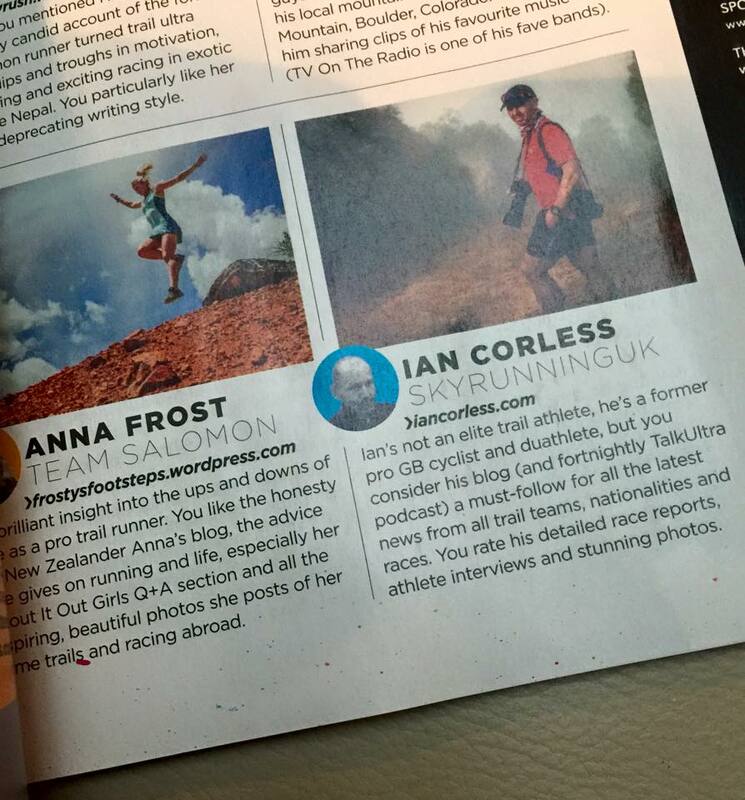 It worked last year but after WSER I planned UROC and I knew I had to step up my game. I wanted to run well. So, last summer I started workouts. That’s the biggest change I made. I have similar cycles for each specific ultra now. Overall I am harder, physically and mentally. I can hit higher mileage, I can add workouts and my sessions are more intense and quicker plus I am injury free. I work hard but I haven’t been beat up. I made sure I get in the mountains. From home, everything is up and I live at 7000 feet. I have a couple of staple workouts – fartlek/ threshold workout that may be 1-4 mile repeats on short rest. Then I also do 8 x 3-minutes on 90sec rest on a decent grade. They are my ‘go-to’ sessions. IC: They are classic sessions! They show your road and track background. So, do you think that gives you an edge over your peers? 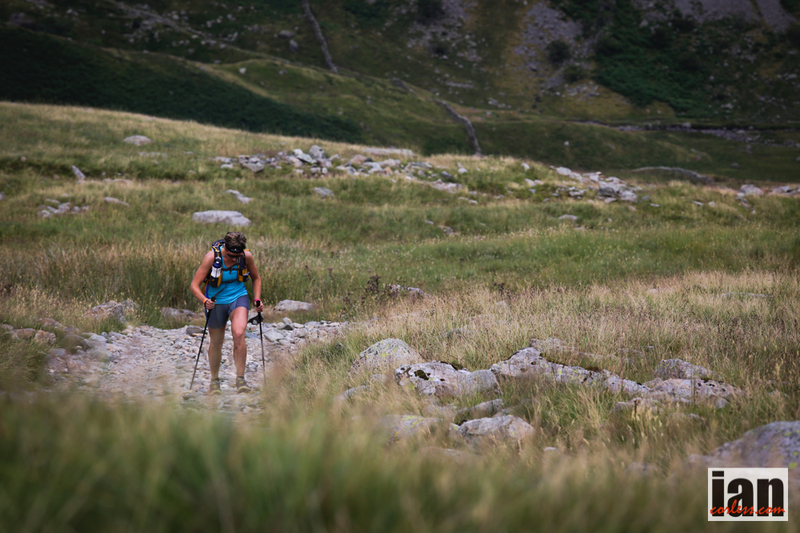 For so long, ultra runners have ‘just’ run. Do you think times are changing and this structure will be required to achieve the next level? IC: I remember Dakota saying what a mad man you were at the end of that race! RK: I couldn’t have done that without my specific training. It feels good to work hard, run fast. I don’t do 400’s but my long sessions work for ultra. IC: I know the Grand Canyon holds a strong place in your heart. Do you use it as a benchmark for specific sessions? RK: Yes, it’s an important place. I have learnt to temper my efforts in the ‘Canyon.’ You need to give it respect. I did two 30-mile out and back sessions pre WSER to condition my quads. The track really does bruise up the quads. The first session I did made me real sore. It surprised me. I hadn’t planned a 2nd session but I decided to return 2-weeks later and I had a great run. My legs felt so much better. I knew I was getting ready! The Canyon provide me with 2-great runs, it was a surprise so I don’t think I’ll be back this year… I feel as though I have already taken too much and I know being greedy in the Canyon can be detrimental. IC: Let’s talk about the race. The build up you used you said was unique, however, I think Max King probably had a similar structure to your training. How much were you intimidated by Max taking it on from the gun? I know it was his 1st 100-miles but you respect him? RK: For sure, Max is an incredible runner. Look at his range! I don’t think many can match him. I expected him to be at the front but I wanted to run my own race to Forest Hill (62-mile). I felt comfortable. The last 20-miles are the key. I kept a track but I didn’t worry what Max was up to. From Forest Hill he only had 3-4 min gap. On Cal Street I ran strong in 2013 and I planned to make that a defining moment in 2014. I caught Max and we almost turned it into a track race. I watched his body language, listened to his voice and I made a choice. I think if we had stayed together the final 20-miles would have been a head-to-head to the line. So, I went for a gap and I put in a strong move. It was a move that was all out. I didn’t hold back. I had a moment when I looked back and we made eye contact. I thought oh no, we have locked eyes. It was a distinct moment. I thought I had lost a physiological advantage but I pushed on and opened the gap. IC: That’s mile 80 yes? IC: I suppose you didn’t really get any feedback till Highway 49 with 10k to go? RK: That’s correct. Last year I hit the river about 4-mins behind Tim. He commented that he could hear the crowd when I arrived. So this year I did the same… I listened out for loud cheers, as that would signify Max arriving. The cheers never came. At one point I stopped and listened. I couldn’t hear anything and that gave me confidence. I thought I had at least 5-mins. Later I was given some bad information, I was told the gap was just 1-min. I had a ‘thoughtful’ following 5-miles but it all proved to be okay. A gap of 6-minutes actually became 30-minutes, so, with 10k to go I felt safe but I kept the pressure on to No Hands Bridge. From here I felt confident but I never became complacent. A tear or cramp could ruin my race. IC: At what point did you relax and embrace the moment? RK: Just with 1-mile to go at Roby Point. I was in the town of Auburn on a quiet street. People were out and I saw a child on a bike. I had a distinct moment on the final climb; a girl waited for me and she started to ride next to me. That last mile gave me so many memories and thoughts. At that moment I had a strong feeling of childhood. I could feel my inner sense. It was such a contrast. I was finishing 15-hours of physical and mental focus and the child gave it balance; this little girl didn’t have a care in the world. The smile came and I soaked it up. IC: You ran 14:53:24 did you have any aspirations for Timmy’s record? RK: The win was the priority. A course record would have been a bonus but the win was the most important. IC: If you look back, start to finish, you planned a strategy, you thought about the race, did it go to plan? RK: It went very closely to plan. I wanted to feel good at Forest Hill and I did. I was holding myself back and I felt great over that opening two-thirds. I tried not to plan too much as anything can happen. I thought Max or Mike Aish may have been up front so when I hit Cal Street I made a decision to go. I had planned to be at the river in the lead or with the leaders; so it went close to plan! Nothing unexpected happened. IC: Amazing, running 100-miles almost to a script! Were you surprised that maybe some of the pressure didn’t come from Ryan Sandes? 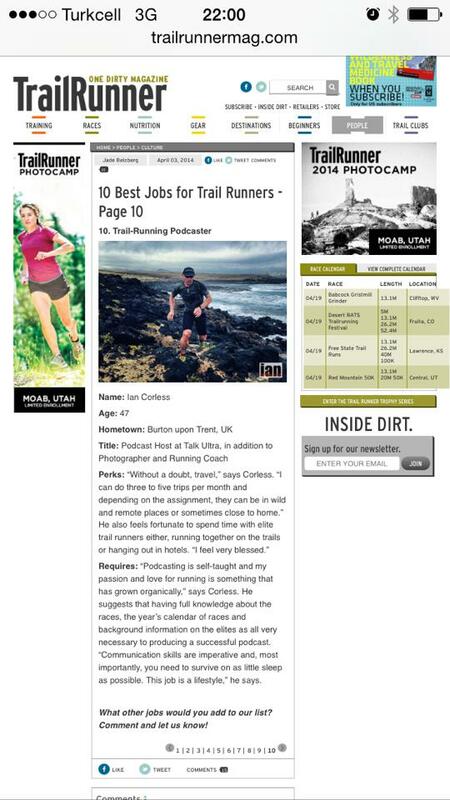 He’s had a great season and a great WSER. 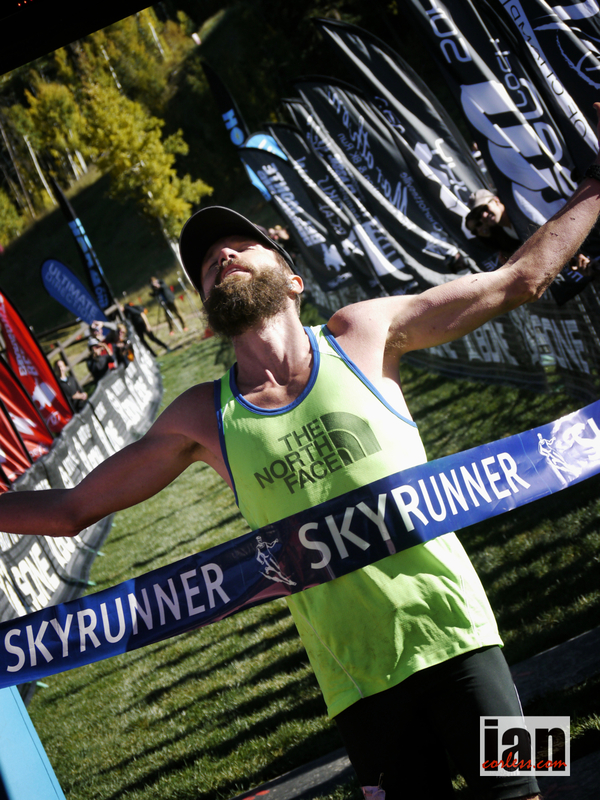 Maybe his ‘14’ has been too good which impacted on WSER. One thing that can happen, you may think pre race that Ryan may be the one to watch and you can loose a race by watching the wrong runner. RK: I was surprised that Ryan wasn’t in the lead pack but he runs smart. He really does know how to run but for me, I wanted to run ‘my’ race and that was what was important. I was very focused on my mind-set and me. IC: So what’s next Rob after some quality RnR? I assume you will have another big target for the year? RK: Yes, I ‘ve had a great recovery. 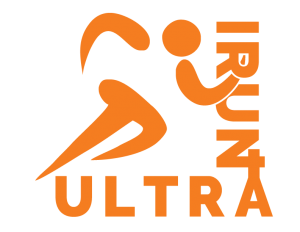 Every ultra I have done and the fatigue that comes with it, the recovery gets shorter. I didn’t run a step for 10-days. I escaped to Colorado, played in the mountains, went fishing and took a mental and physical break. In the next week or two I will get back into it. 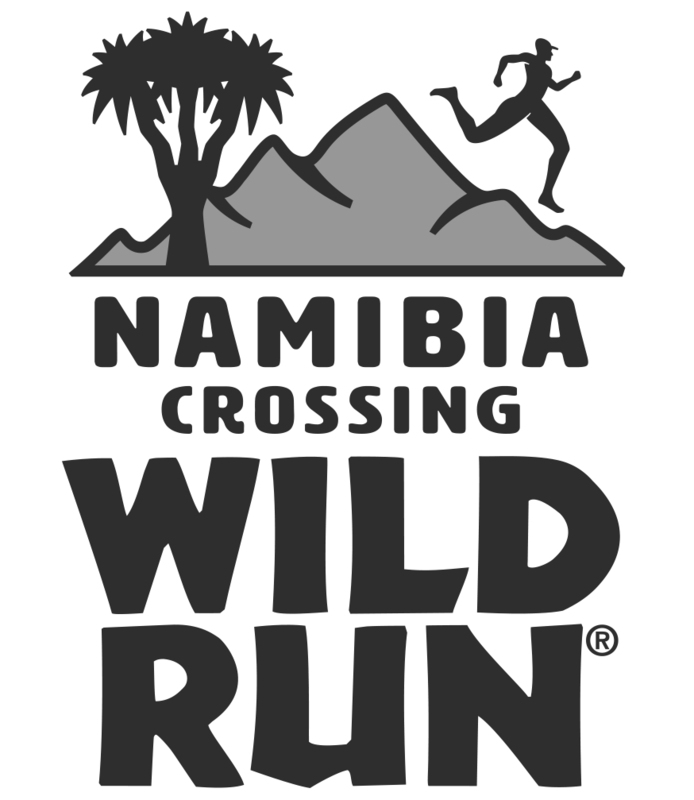 TNF50 in December is my 2nd focus. I may do Leadville even thought it’s a short time frame. 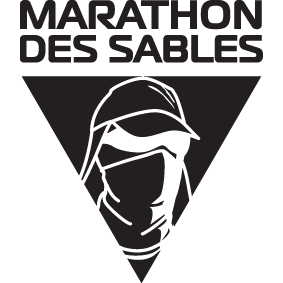 UROC, Run Rabbit Run may figure, I am not sure yet> I want more experience of 100-miles and I want to focus on UTMB for ’15.’ I’ve raced in the night so Run Rabbit Run may well be a good opportunity as it has an afternoon start. 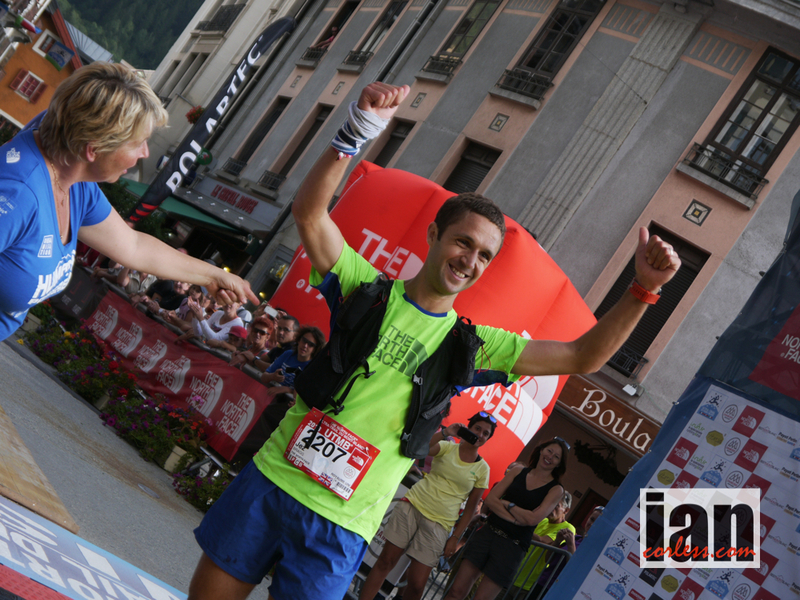 IC: Can we expect you in Europe pre UTMB in 2015? It’s very different terrain to what you have in the USA. Your TNF teammates will provide you with info I am sure. RK: It’s possible. I am not sure yet. I haven’t looked that far ahead. 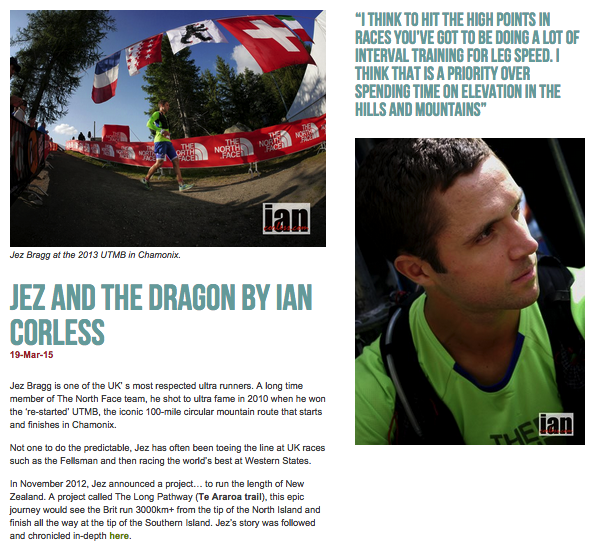 I love Transrockies and I may use that race as preparation? I don’t know yet. I may have a recce trip to gain some experience; we will have to see? IC: One last question; we mentioned the life/ work balance. If you gave up your job do you feel that maybe you would over train or over race because of the extra time… has the work/life/ training balance kept you balanced? RK: It’s a great point. I think about this a great deal. 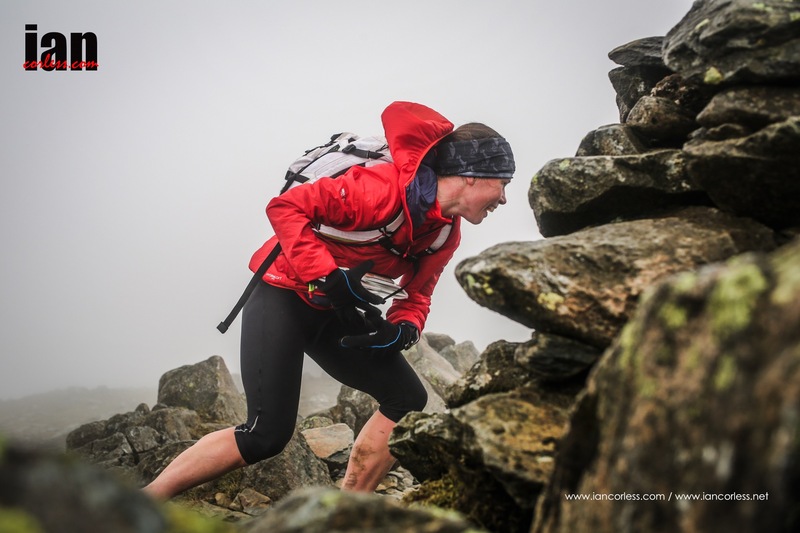 We have seen examples of runners who have left work, become pure runners and it has been a negative, however, the nature of my job is not healthy, mentally and physically. I have been doing it for 12-years. But it does provide focus and routine. I can’t help but dream of what I can do with a ‘normal’ life. For example just a regular sleep routine. The graveyard shift is a killer! I think I know myself now and I also know my running very well. I hope not to fall into any traps. IC: Awesome, thanks so much for your time Rob and many many congratulations. RK: Thanks so much Ian, great to speak.